If you are looking for cables to add color or flavor to your system’s signature sound then Skrogrand cables is not your best bet. 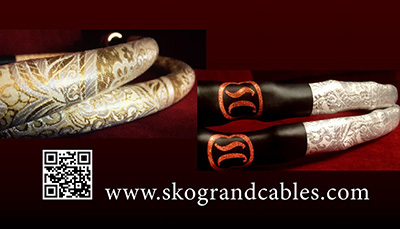 If you on the other hand desire a reference cable to last you a lifetime of component upgrades, that will enable you to focus on the true ability of your setup, then Skogrand cables are the only real alternative in today’s market. The science behind the Skogrand Beethoven cable model gives it a firm position as one of the fastest and most accurate electrical conduits known to man preserving the signal most effectively, completely and undisturbed. It is only rivaled by the Skogrand SC Stravinsky cable. When you buy a Beethoven cable you may rest assured that it will bring out the full performance of your connected components. Adding nothing and leaving you only with the pure truth about your other components. In this respect it is an invaluable tool to any music and audio lover who strives to build their reference setup. - SCD Beethoven digital cables: USB 2.0 A-B, Ethernet Cat7a, 75 Ohm BNC, 75 Ohm RCA and AES/EBU 110 Ohm XLR. Construction goal: Creating an interconnect matching the SC Beethoven speaker cables when it comes to looks, signal transfer capabilities, materials and overall performance. "The Beethoven interconnect and speaker cable's sound is defined by its vanishingly low noise floor and transparency. A system capable of when wired with the Skogrand cables from the phono stage to speakers (or preamplifier to amplifier in the case of reel-to-reel) incredible delicacy, astonishing resolution and a "Snow White" purity. Not unlike looking through a freshly Windexed plate glass window into the soundstage. But neither are the Skogrand Beethovens reminiscent of those 1980 CD players with a squeaky clean, bleached, washed out or bright sound. No siree. The Skogrand cables don't darken or brighten the sound. 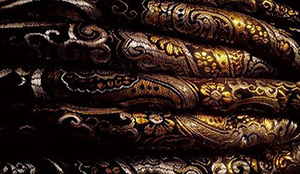 They simply permit the system to strut its stuff and allow the listener to hear into and connect with the music." - "Skogrand Beethoven Cables - A Study In Transparency." As reviewed by Myles B. Astor, Positive Feedback. - The Skogrand Beethoven offers musicality coupled with impressive dynamics. 4 x 24AWG Ultra Pure OCC solid core copper wires individually 100% shielded with signal wires individually suspended to float in air from connector to connector while spiraling each other. Second outer shield covering all wires. 3 x 100% shield layers total. Crosslinked polyolefin dedicated air conduit covers and total cover. Perfect 90 Ohm dual data transfer characteristic impedance. 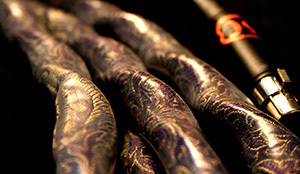 As with the complete line of Beethoven cables the SCDU Beethoven USB cables are the only cable line in the world offering a 1.00 dielectric constant making them the fastest and most precise signal conduits in the global market with the least disturbed and most complete signal transfer obtainable." 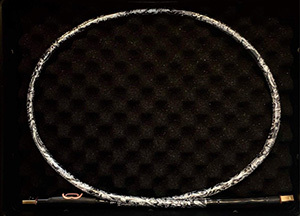 Construction goal: Creating an interconnect matching the SC Tchaikovsky speaker cables when it comes to looks, signal transfer capabilities, materials and overall performance. "After 13 years of being in the HiFi business, it is extremely rare that I come across a product that I am so impressed with. This is most certainly one of those rare times. The Skogrand SCI Tchaikovsky interconnect cable is an amazing achievement and comes as close as I have witnessed to a ‘perfect’ interconnect. This cable offers an astonishingly neutral and transparent signal transmission, which translates into real life richness in the music. These are without question the very best sounding interconnect cables I’ve had the pleasure of trying in my reference system." - Editor in Chief, Suave Kajko, Canada HiFi/NOVO Magazine. The SC Tchaikovsky offers 4 x 12AWG Ohno Continuous Cast 7N solid core copper leads suspended in air within a framework of ultra-low dielectric fabrics and PTFE tubing. A most natural, dynamic and pin point analytic cable to last you a lifetime of component upgrades. 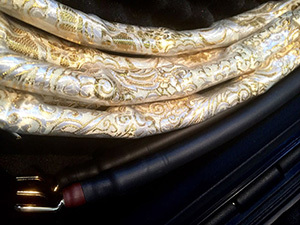 "I experienced improvement in all sonic aspects from my audio system through the Skogrand cables - sensuous and enveloping ... delightful enjoyment. Since the Skogrand cables came into my system, they reinvent my perception of what an ultra-end audio system can be." ... "The Skogrand cables have enlightened me to such an extent on my audio journey that I wish to reciprocate them as the Analogue Fellowship Cable of Choice". - Dato Danon Han, Analoguefellowship.com/Mono & Stereo/AV Showrooms, Head of Analogue Fellowship. (Writing about SC Tchaikovsky AKA SC Markarian 421. The cable changed name in 2014 after monumental upgrades).